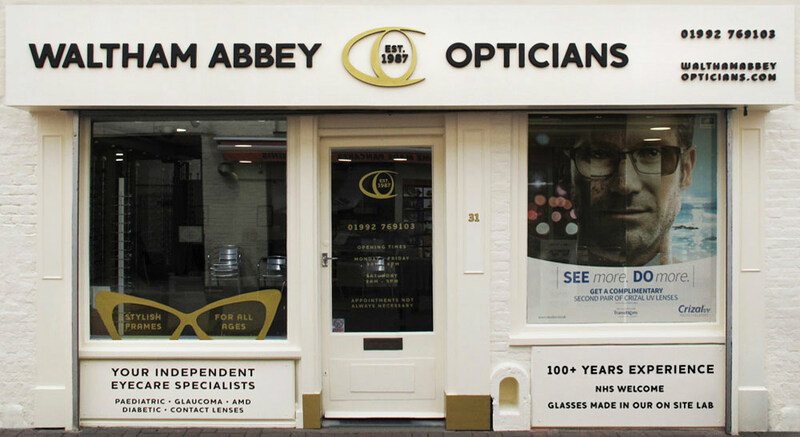 Located in the heart of a historical town, Waltham Abbey Opticians was established in 1987 and proudly serves the eyecare needs of the local community. We carried out a brand and store refresh to emphasise their position as the town’s original local opticians, in response to direct competition opening nearby. We completely redesigned the shopfront (old design above), creating a new welcoming appearance, whilst keeping within the vintage town aesthetic.